The NFL is full of stories even on days when games are not played. Following all of the undercurrents of the league can be exhausting and if they do not involve a player on your roster, they might go unnoticed. That is where I come in; I follow every NFL story that I can get my hands on so I can bring the important tidbits to you. Leading up to week 4, there are three NFL storylines that jump out as being very significant. 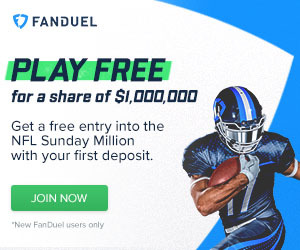 Week 4 DraftKings and FanDuel Value Picks - Red Hot! Can McCoy get healthy while fantasy owners still have playoff hopes? Although he is no longer a consensus top three running back, McCoy is still a major part of many fantasy football rosters. In most cases he was an early pick or cost a significant amount of an auction budget and has not contributed as expected. Of course he has not been healthy since the preseason, but this is little consolation to fantasy owners who are losing games without his usual contributions. 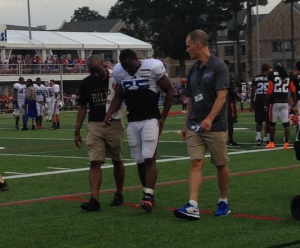 For teams with some running back depth, Shady sitting until he heals up may be the best thing that could happen. My concern is that in the past McCoy has been a slow healer. Couple this with the fact that rookie Karlos Williams has looked great in limited action and McCoy owners should be feeling a bit concerned. I think that if Williams can continue to be effective running the ball for Buffalo, Coach Rex Ryan will not be in any hurry to get McCoy back on the field. The Giants had believed that they could get wide receiver Victor Cruz back in the lineup week 4. Unfortunately it has been reported that Cruz came out on Wednesday to participate in individual drills but still felt soreness in his injured calf. This means that Cruz will almost certainly be ruled out against the Bills and his return date is left in uncertainty at this point. The Giants are off to a disappointing start at 1-2 and could have used the boost that Cruz would have given to their offense. One day before Cruz suffered his setback, the Giants had brought in some well known pass-catchers to work out for the team. The G-Men worked out former Redskins tight end Chris Cooley, former Giants and Colts wide receiver Hakeem Nicks and former Patriots and Broncos wide receiver Wes Welker. None of the players signed contracts with the Giants although it will be interesting to see if the team revisits any of these players with the news about Cruz. On an unrelated note, I would just like to bring up one more time the fact that the Giants cut James Jones, allowing the Packers to sign him. If Luck's injury lingers, the Colts offense could sputter out. Andrew Luck and the Colts have not just looked like a bad team so far this year, they have BEEN a bad team. 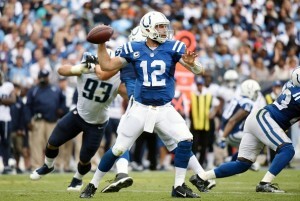 Now word has come out that Luck injured his throwing shoulder last week versus the Titans. Anyone who is relying on production from the Colts offense should be concerned about this news. Every aspect of the offense runs through Andrew Luck, even Frank Gore and the run game. If Luck is unable to go or even less effective, things could be tough for Indianapolis yet again. Even if Luck is hindered for a couple of weeks, it is tough to imagine another AFC south team stepping up to win the division. A few more subpar games could be enough to doom fantasy owners, however. If your team relies on the Colts, keep a close eye on this one.